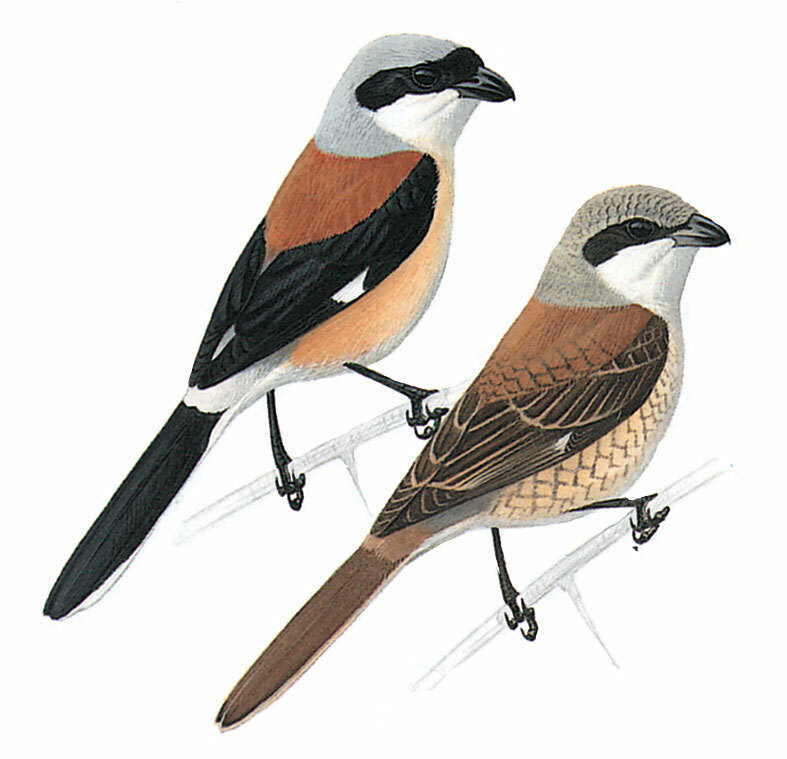 Plump-bodied, long tailed and large headed shrike. Adult has a short square-ended tail, wide black forehead band which reaching fore-crown , grey rump, whitish upper tail coverts, white tail sides, and large white mirror at base of primaries base appearing as conspicuous band in flight. Female is duller than male. Juvenile has rufous tail and faint wing-mirror but told from juvenile Daurian by rufous greater coverts and grey lower rump. 1st winter birds like adult but have heavy barring on flanks and upperparts and black forehead-band may be absent.